During the first decades of the 20th century Paris figured as the capital of the art scene, being superseded after WW II by New York. Yet for the last decade or two, this no longer holds true, as the focus has changed to become truly global and borderless. Since the beginning of the 1900s, Africa was regarded as a continent of flourishing “traditional art”. This term obscured the multiple forms of artistic expression the Europeans found during their colonization of the continent. In the eyes of the colonizers, the indigenous art was not considered true art, but remnants and testimonials of cultures belonging to the past. A past that had been abandoned and left behind by Europe and the western world in general. This prejudice is still around today. African art is still seen as traditional, something not quite modern. Contemporary African artists face this problem time and again – if they want to be recognized by the international, nowadays global art scene and market, they have to satisfy the requirements of their supposedly universal value schemes. On the other hand, their works of art must still be somehow recognizably “African”. Especially in Zimbabwe there is a very intensive debate raging about modern art. This may be attributed in part to the history of that country, where a white minority government, following on British colonial rule, caused a bloody civil war while trying to preserve the power structure of colonial society. These events are still current in contemporary art. Another factor that contributed to Zimbabwe’s development into one of the most productive regions for modern art in Africa was the early and continuous presence of supporters and patrons. The present catalogue presents art of various genres. Apart from the more widely known, like stone sculpture and square painting, many are featured that are commonly not readily associated with African art, e.g. assemblages and photography, which allow very direct glimpses of everyday life in Zimbabwe. 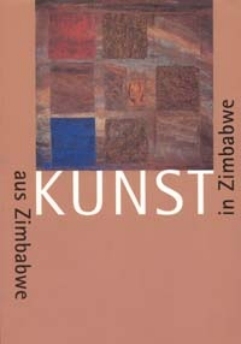 Four articles deal with genres and aspects of Zimbabwean art, e.g. painting, the Shona sculptures, and the struggle with life in a modern society.